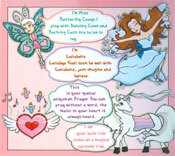 Dr. Doodlebat is an entertaining children's storybook of healing poems set against the backdrop of beautifully orchestrated musical soundtracks as if each poem is a mini- movie unto itself. 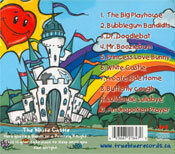 This enchanting CD brings to life a myriad of special characters and assistants like Dr. Doodlebat, who take delight in educating, comforting and soothing an ailing child about their illness. Cutting edge global research now confirms that the presence of many if not all disease is a direct result of the child's emotional state. Dr. Doodlebat lovingly addresses this vulnerability by engaging the use of the all powerful and creative force called the imagination. Through the imagination, the poems stories guide, encourage and empower the child to stimulate and engage their own natural inner healing mechanisms. 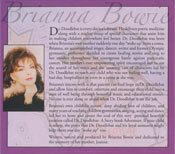 Dr. Doodlebat was conceived from my own personal experience with a tragic situation. My mother went into a coma after suffering complications from pancreatic cancer. Out of desperation, I sang and spoke to her while she was in that terrible state even though the doctors did not think she would recover. Somehow, I instinctively knew that she would recover. Against all odds she did wake up, and when she did, she emphatically told me that I must do something with the sound of my voice as that is all she could remember. She said it was so soothing and comforting. And so from my mother's love to my heart, Dr. Doodlebat was born. My hope is that Dr. Doodlebat can reach out and comfort children in various emotional and physical states of unrest, including and especially those in a coma. A Safe Ride Home, the enclosed sample poem, was especially written to reach children in a comatose state. Dr. Doodlebat has an important purpose in assisting Doctors in the well being of their patient, but it also has the ability to entertain the child as it comes in the form of a marketable packaged toy. 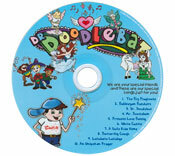 Dr. Doodlebat, A Storybook Adventure, comes in a special mini- briefcase that includes; the healing CD, a mini CD player with kids size pink or blue headphones, a Dr. Doodlebats "Color Me Owies" Talking Book, Dr. Doodlebat Stuffy doll and Dr. Doodlebat special crayons. As you will hear, the Dr. Doodlebat poem directs the child to draw a picture of what is hurting them with his special crayons. The crayons all have names of funny little characters. The child believes they assist them in drawing different parts of the body. 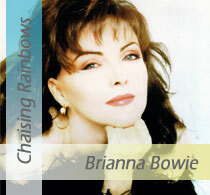 To hear a sample of two poems from the CD click on the play button. The CD is listed at $24.95. I appreciate your support of this wonderful product. 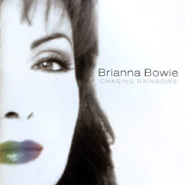 I will be donating portions of proceeds directly into The Joanne Bowie Champions Fund for Pancreatic Cancer. I will soon be adding a link here to the official Dr. Doodlebat website currently under construction where you can order your copy of the CD or the Dr. Doodlebat toy kit. Although Dr. Doodlebat was designed for use in a hospital environment, this toy CD kit could also be used at home for every kind of child's ailment from the flu to a simple scraped knee or even a child that's a little down in the dumps. There will ultimately be both a Hospital Kit and an "At Home" version available. 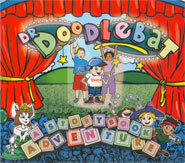 What parent wouldn't love to have Dr. Doodlebat to assist them in the speedy recovery of their loved one? I strongly believe that if parents find themselves having to leave a child alone in the hospital that they would want to know their child is being entertained, comforted and encouraged to access their own healing powers through imaginative characters like Dr. Doodlebat. I am currently donating this product to the Calgary Childrens Hospital, Ronald Mcdonald House and The Kids Cancer Foundation. I am now awaiting approval for a special test study group. With the success of this test study group I hope to both introduce Dr. Doodlebat to children and gain the endorsement of all these participating organizations. Dr. Doodlebat is a great humanitarian and has already sparked overwhelming attention from both local and national media. The Calgary Sun and the Calgary Herald newspaper has already expressed an interest in doing a feature article on the Dr. Doodlebat project. 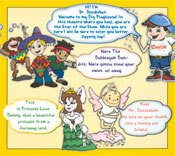 The "Color Me Owies" Talking Book is the only coloring book of its kind on the market. Its purpose is multi-layered as it provides countless hours of unique entertainment for the child as an interactive coloring book. The child is both entertained and encouraged as all the special crayon characters like Buffy "Make It Better" Blues, inspires the child to draw their Owies as they listen to the hidden musical instructions hidden in the Owies pages under a "Play Me" button. Dr. Doodlebat has recently gained the endorsement from Dr. Oliver Bathe who is the head of surgury for Pancreatic Cancer at the University of Calgary. Dr. Bathe has given a testimonial that states what an innovative and invaluable tool Dr. Doodlbebat is for Doctors, nurses and parents.